Uhhhhhhhhhhhh. Will these leggings make Jimmy Jr. want to make out with you? Maybe! Fans of Bob’s Burgers have already been treated to a cookbook with all the recipes the show and now they’ll be able to wear them too. 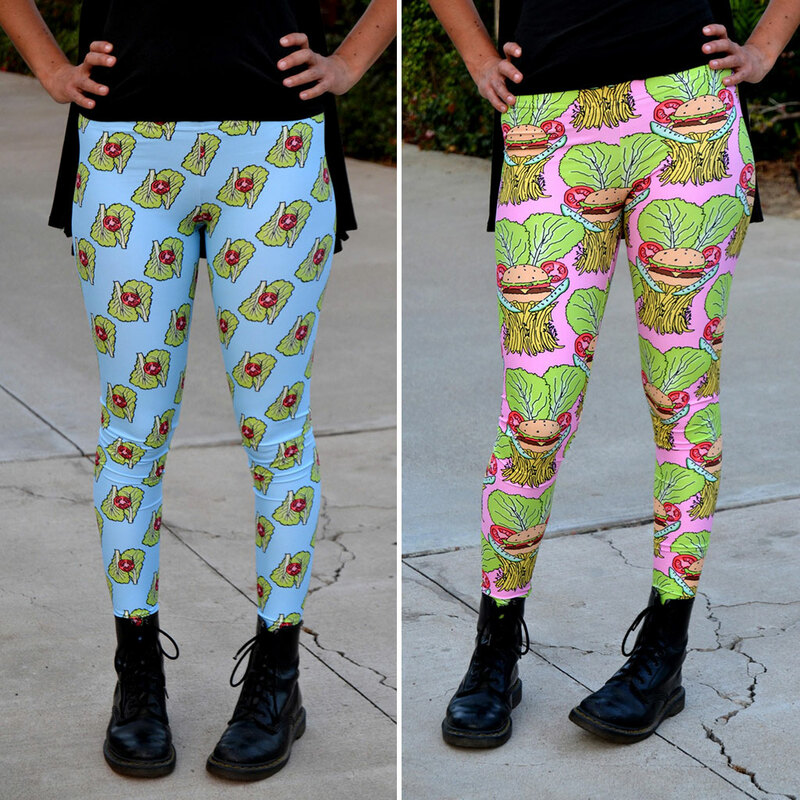 Designer Kristin Koga and her company Eugene Apparel (which, for some reason does not yet feature a human-sized burger costume) released a Belcher-themed line featuring two pairs of leggings ($55) as well as a top that’s coming soon ($400). According to the Daily Dot Koga’s geek chic has landed her in the finals of the Her Universe Fashion Show at Comic Con in San Diego for three years. And apparently this is just the beginning. She said she’s going to be branching out with designs from Star Trek: The Next Generation and Stranger Things (come on demogorgon onesies). For Bob’s Burgers fans though, everything will be available on the Eugene website or in Koga’s Etsy shop (puns not included).